Omar Barghouti, one of the founders of anti-Israel BDS movement denied entry into the US from Israel’s Ben Gurion Airport. The US barred a leading member of the BDS movement from entering the country on Wednesday, ahead of planned speaking tour in the US. 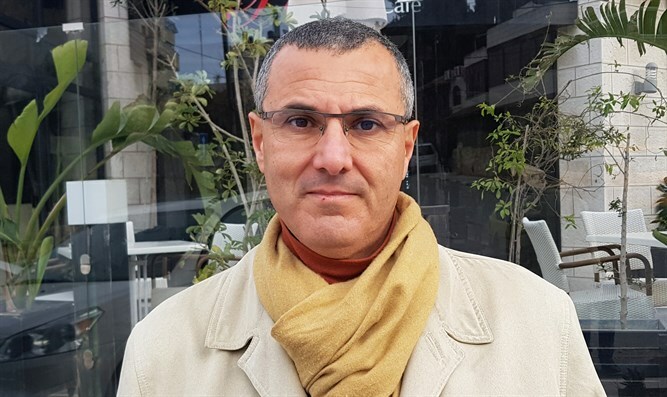 Omar Barghouti, one of the founders of the anti-Israel Boycott, Divestment, and Sanctions (BDS) movement which works to delegitimize the Jewish state in an effort to force Israel to withdraw unilaterally from Judea and Samaria, was barred from boarding a US-bound flight Wednesday at Israel’s Ben Gurion Airport. The Qatari-born Barghouti has lived in Israel since the 1990s, and acquired legal residency status through his marriage to an Israeli-Arab woman. After Barghouti arrived at Ben Gurion Airport, he was informed that the US had issued an entry ban against him, preventing him from boarding the US-bound flight. Barghouti had been slated to fly to the US for a speaking tour that included public events at NYU in Washington, D.C., NYU in New York City, and Harvard University; and meetings with leading policy makers and journalists. The American Arab Institute, which had invited Barghouti to a number of events he was scheduled to attend in the US, condemned the Trump administration for issuing the ban, calling Barghouti a ‘human rights activist’.